This is a contrastive politico-linguistic study analyzing the semantic operations serving specific communication strategies in speeches by representatives of the extreme left. Speeches by Lenin, Trotsky, Karl Liebknecht and Rosa Luxemburg form the empirical basis for the study. 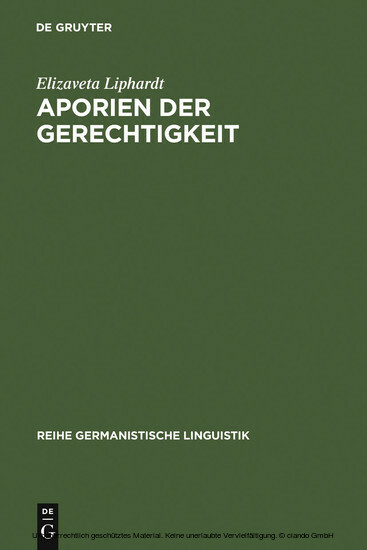 Central to the analysis are concepts and catchwords attaining a special impact in the language use displayed by the extreme left in setting itself off from the moderate social democrats (1914-1919). The analysis itself examines concept-splitting mechanisms and techniques of semantic upgrading and stigmatization.